Inspired by ideas of ‘the unknown’, this Master's thesis proposes that an inherent curiosity can act to draw people through space, to explore what lies just out of view, just out of reach. 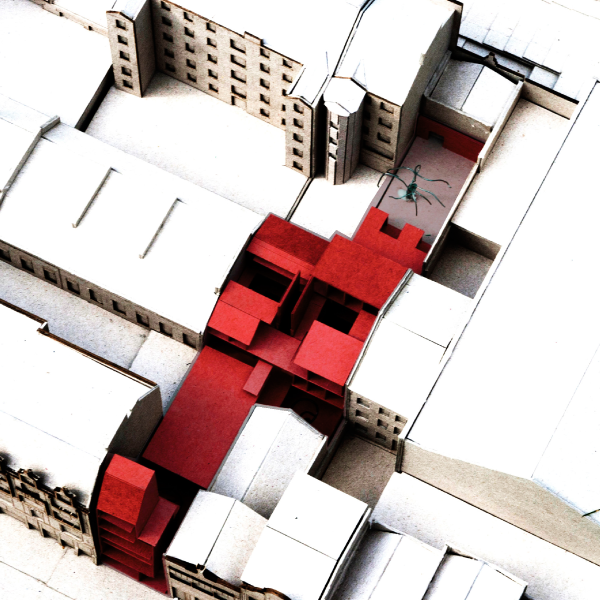 The project provides a house for writers, in the form of a dormitory. 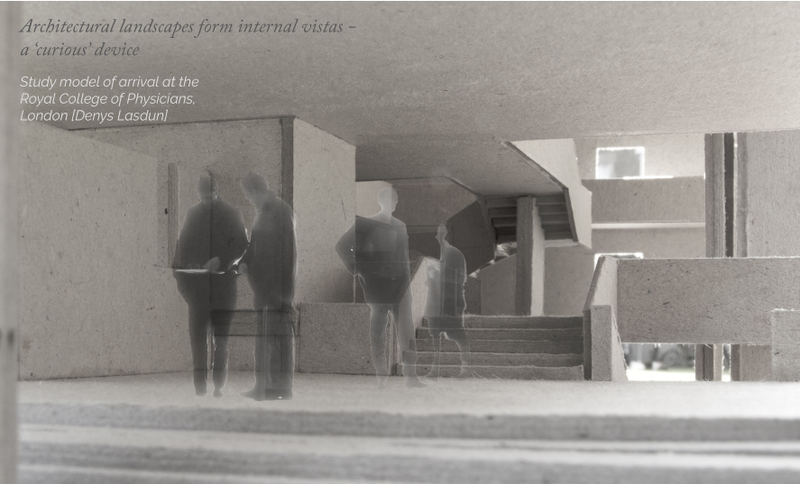 The intervention interacts with the existing fabric through a compress and release of spaces, both interior and exterior, bringing inside outside, and outside inside. The research was directed under the overarching theme of 'Literature and the City', and an annual competition held between students of four universities in Ireland, Scotland, Germany, and Italy. The thesis was selected for exhibition at BauHaus OPEN, at the Bauhaus University in Weimar, Germany, during Summer 2014. Glasgow was a boom town during the industrial age. The scale of the city now compounds an inescable feeling of emptiness, of something struggling to fill the historical void. 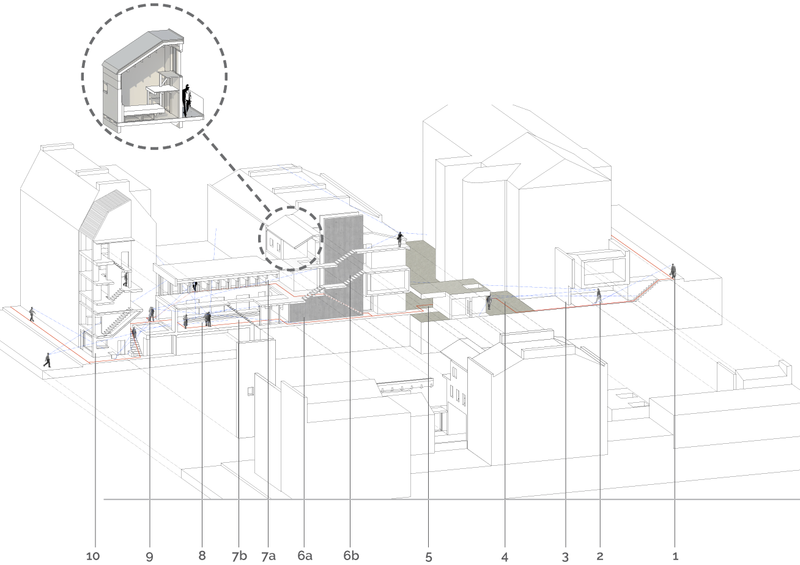 Drawing inspiration from architectural memory, precedents, and analytical research. I was interested in the power of curiosity to draw people through architectural spaces. 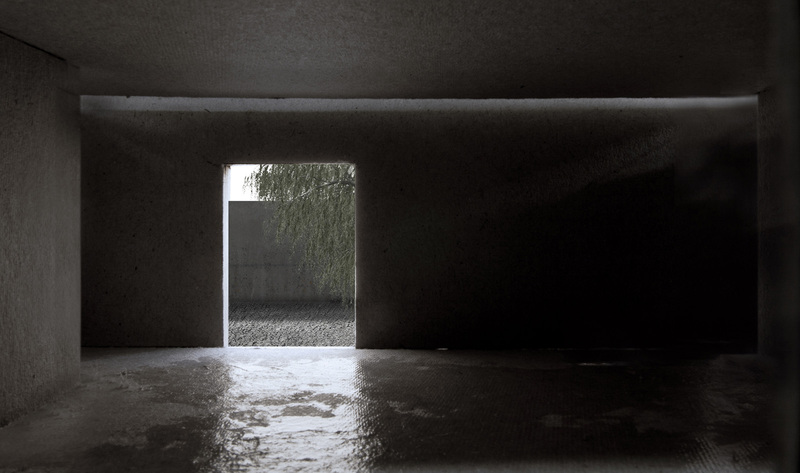 I explored ideas of light and shadow, compress and release, and architectural vista to try to distill specific instances found in memorable architectural spaces. I utilized sketching and conceptual models as one method to explore these ideas. 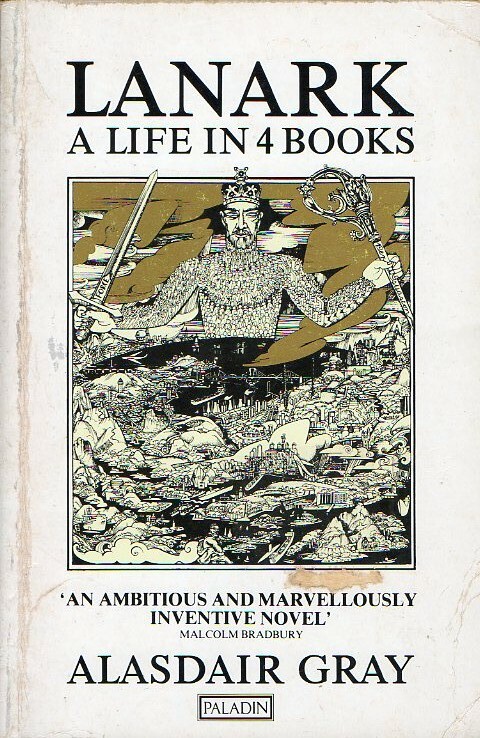 In Lanark: A Life in 4 Books, Alasdair Gray describes Glasgow as two co-existing cities, one real, the other surreal. He illustrates the relevance that literature has on our perception of place. I propose a house for writers, in the form of a dormitory. Inhabitants are both long-term residents and transient visitors, but, like in the Glaswegian tenement, they all live in the same house. Adjoining the house is a large dining hall, the heart of the proposal, mediating the ground of the city and the internalised, domestic world. A series of tea rooms forms a screen to the street. Together these elements link the house to the city, and the city to the house.